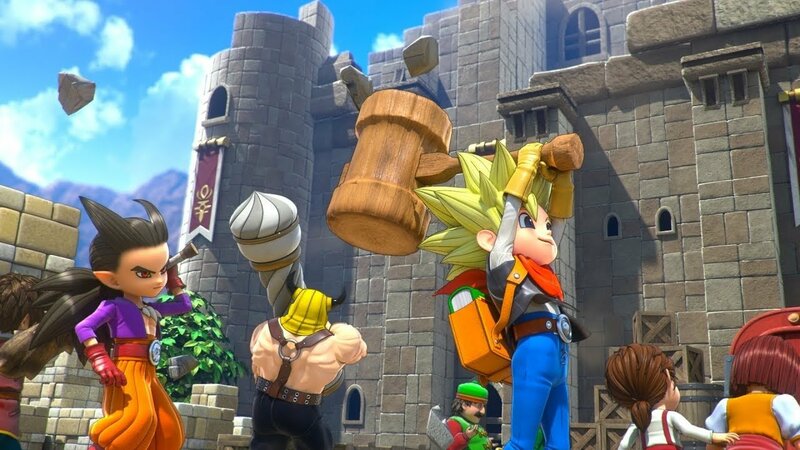 Although the west only received Dragon Quest Builders on the Nintendo Switch at this start of this year, Square Enix is already well into the development cycle of Dragon Quest Builders 2. At a recent Japanese event, producer Noriyoshi Fujimoto revealed the team would start work on a demo for the sequel, once the full version of the game had been completed. The demo will reportedly be made available prior to the game's launch. While there's no release date for the test try just yet, the game itself arrives in Japan on 20th December. 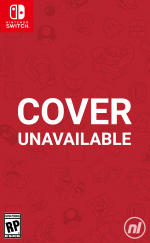 If you're eager to get your hands on the demo while you hold out for the full game's 2019 local release, you'll need a Japanese Nintendo account. Square Enix also released a very generous demo for the original Dragon Quest Builders game (in both Japanese and English), which is available on the eShop right now if you're curious to see what all the fuss is about and for some reason missed it the first time around. It's basically Minecraft crossed with the Dragon Quest series. You can read more about it in our review. In addition to the demo announcement, Square Enix showed a new island area in the sequel. Footage of this location starts at the 27-minute mark in the video below. Did you play the original Dragon Quest Builders on Switch, or have you been holding out for the sequel since it was announced? Did you play the original game's demo? Are you glad to hear you'll be able to test the sequel out prior to the game's release? Tell us below. Can't wait! I didn't pick up the first one since my backlog was massive. So I'll just skip it and get this one. I only played the demo of the first one. While I liked it, I wanted to hold off until DQB2 came around, to see what enhancements it would bring. @OfNullAndVoid same here. Played & enjoyed the demo but knowing the second game was already on the way with co-op & other enchancemebts I decide to wait. Wonder if we’ll get DQB2 on Switch in the US before DQXI? I also passed on the first knowing a better sequel was coming soon. Got the original on Vita and it's a really good game very easy to sink hours of playtime into. Definitely thinking of picking this one up when it comes out. The demo was ok for the first. I am eager to see the improvements on the first. I never got the first. I will keep an eye out for this one. Demo for the first game was awful. I was getting really into the game and then it ended. How dare they!!! And I had to wait a month before I could afford the full game. I think I might skip the demo this time around and just wait for the full game. @Ludovsky I've heard the second one would be better even before reading the comments here so I'm looking forward to it! Never played the first one or the demo. That will most likely be the case here. Not my kind of game. I loved the first game and have been looking forward to the second since it was announced. My only worry is that Squeenix played its "Dragon Quest XI needs to sell well if you want more Dragon Quest games localized" card recently and we may not see Builders 2 in the west. Here's hoping it doesn't take an eternity to get localized - and that not taking an eternity doesn't result in lazy localization. I played the first one from start to finish. If you grew up playing Dragon Warrior then you will immediately fall in love with the game. I hope you all saying you’re waiting for builders 2 actually try at least the demo for builders 1 since builders 2 will play nearly exactly the same. I spent 10 hours on the first demo. I don't even like Minecraft, but this game hooked me. Definitely getting the sequel. The fools! I sank about 15 lazy hours into that demo and never needed to buy the actual game. I can't wait to get the second one, I think I'm gonna make a Japanese account for the demo. The first Dragon Quest Builders had some annoying features (restarting every time in a new world is stuuuuupid) but it was so much fun building things. I only hope you can disable the music in the next version because man that music sure is annoying. @RadoGoji The English version is stated for 2019 in the west. I hope you have a lot more room for your towns. One of my most anticipated games! Or give us an actual Dragon Quest game, wouldn’t mind seeing at least the first Warrior on the NES service if anything. So, i will pick up Dragon Quest Builders 2 USA version once it released on year 2019. The first game was my unexpected hit of the year. I saw some gameplay on YouTube and decided to take a chance (Amazon had a slight sale, too). I sunk about 150 hours into the first one and loved every minute of it. The second will be a day 1 purchase for me. That guy in the video looks like such a blockhead. I found builders 1 was inferiour to portal knigts. I hope they spice the combat up in this sequel.. I love the first DQ Builders - I'm about 3/4 of the way through it, still hammering away. My elder daughter finished it a couple of weeks ago and really loved it as well. And my smallest kobold is still in the first town but has spent so much time building her town, it has seen two major rebuildings from the ground up. We're definitely going to buy the sequel. My only quibbles with DQB1 are that it needs a few more tools to give the building complete flexibility, especially with water features, and maybe some more options for personalizing your character. I understand that both of these things have been addressed in DQB2. So at this point I don't even need the demo. Just waiting for localization. Currently nearing the end of the first game on Switch (just got the red teleportal in the 4th chapter) and while I don't think I like it quite as much as some of the other, more traditional, JRPGs on the system (notably XC2 & YS VIII), it's still been a great time. I may get number 2 in the future, but I'm more looking forward to the eventual Switch release of XI. As long as its at least as good as DQB1 I'll get it. Don't really see myself bothering with the demo though, because I pretty much know what to expect. I still haven't done much with DQB1, but neat that there is already a demo for 2. Not gonna bother with it though. I loved Dragon Quest Builders, but it really made me want to play Minecraft after finishing story mode. The sandbox mode needed more freedom and more challenge for me to get invested. I'm excited to reexperience and experience new things. I hope it focuses more on the farming and building aspects (which from screenshots and some footage I've seen, it seems to be the case). I'm so looking forward to this. I loved the first one! @Kalmaro Shame you are skipping DQ Builders 1 as from the reviews I've looked at, its the better game. @AnnieK Really? I've been hearing number 2 has a lot of improvements. I have read several reviews now all of which said yes there are some good new features but much of the charm and feel of the game was lost now that you always have NPCs fighting and building with you. To be honest I will probably buy DQ Builders 2 but after reading reviews am not looking forward to it quite as much as I was after playing DQ Builders 1 which I loved.